The ski season, which had begun on a very positive note with exceptional snow conditions for the month of December, was hit hard last Sunday by the traditional January warm spell. Our snow experts have been working hard all week long on our slopes to reopen them as with good conditions as early as possible. Several trails were closed, not by lack of snow, but to allow our team to work on them properly. 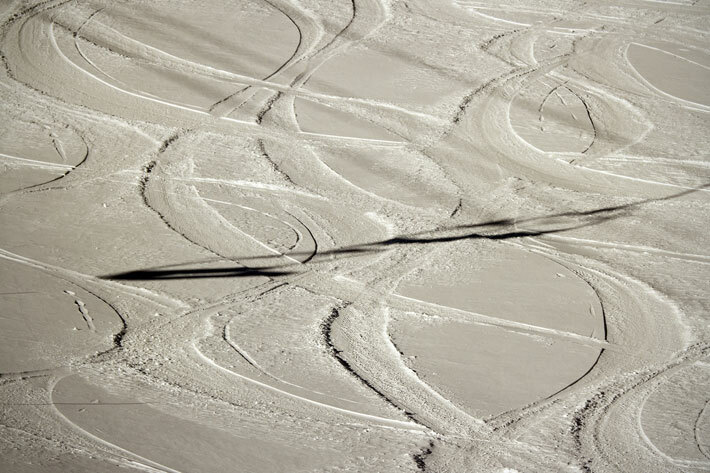 After rain, when temperatures drop back down below zero, snow groomers go back to work the slopes. The surface must be broken, which takes much more time than usually. As we work this type of hard packed snow, blocks that can measure up to 1 meters get detached from the surface. They are then worked with the groomer’s treads and shovel, and then crushed by the cutter (device that conditions the snow behind the groomer). Although the machine manages to considerably break down the blocks, particles that we commonly call “golf balls” stay behind. They disappear completely after a few days of grooming. Combining intensive grooming with the re-launch of our snowmaking system, we are able to quickly catch up and provide very good conditions to our trails. According to the weather forecast, snow is expected this weekend and we will reopen many glade runs. We are also confident to be able to nearly reopen the entire mountain with excellent conditions.